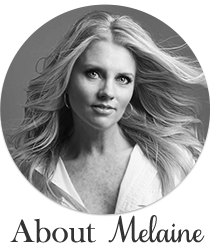 If you visit her blog you enter to win a package of goodies worth $500!!! 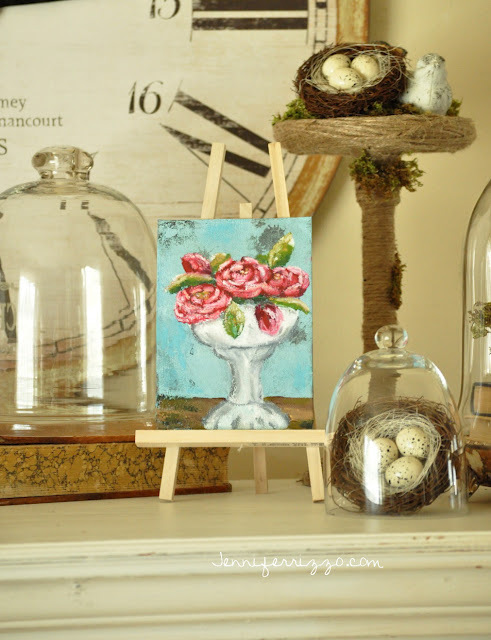 Check out her shop here, it is filled with beautiful treasures! 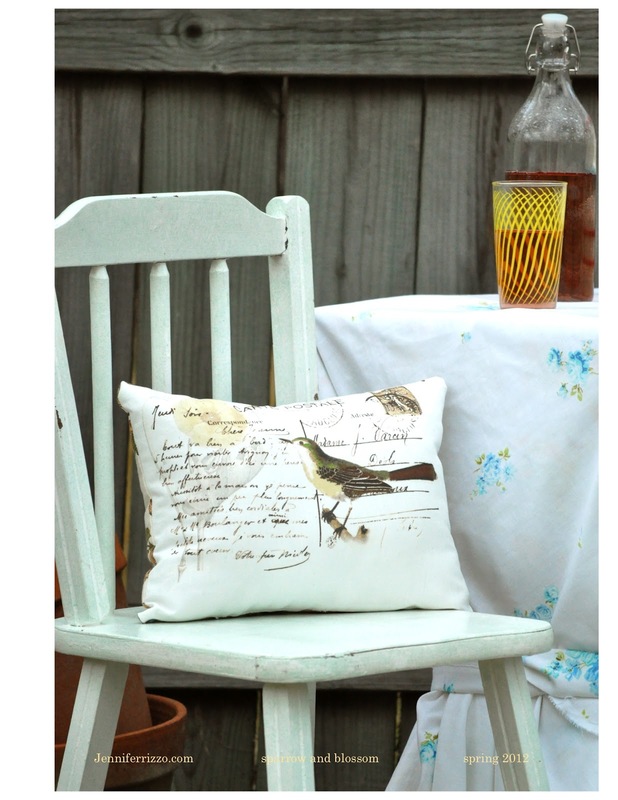 Jen has generously offered to give a my sweet savannah reader a gorgeous aviary pillow shown below! Please visit her shop and let me know what sparks your interest! Leave me a comment back here. Don't forget to enter for your chance to win $500 worth of merchandise from her new line here. What a fabulous giveaway!!! I love Jen's new line. That pillow is my favorite and I also love the Nest tea towel. Beautiful merchandise. I love all of the pillows! I love the Le Printemps pillow. Everything is so beautiful! I want the "distant day" painting!! I'm commenting through google, so you should be able to get my email address there! The pillow is too cute! I also love the Vintage Staffordshire Englad majestic choice china. Love so many of her things but my favorite is the sparrow and nest picture frame. I love the Nest tea towel. And those bird pillows are so cute. I am in love with anything bird-related. I especially love her pillows. They would go perfectly with my other vintage pillows on my living room couch! 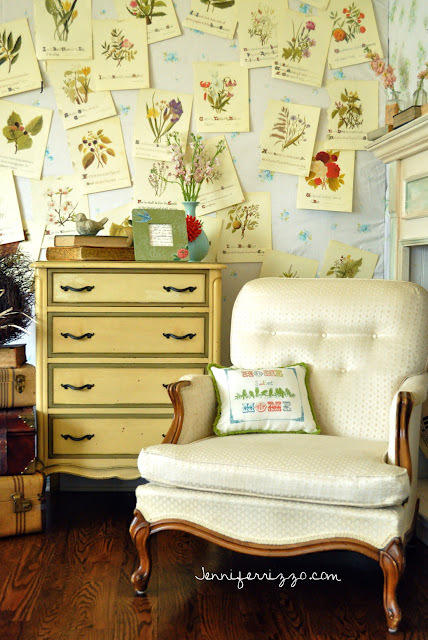 Several items caught my eye but the aviary pillow is my favorite. I loved the vintage embroidered pillow cases. Classics! My daughters B-Day is coming up. Sweet 16 and I think the new hair pcs are fantastic. I'm a regular customer of Jen Rizzo and have already ordered her fabulous tea towels. They are the best! Would love this pillow in my home. Thank You for sharing your friend shop with everyone. This is a fabulous giveaway - I'm soooo loving the aviary pillow. What a delish website,I could crawl in and curl up. Thanks for the chance to win! Oh, the pillows! Those tea towels! Love.. I love it all. fantastic! The sparrow pillow covers are so adorable! About a year ago, I started a blog called "growing my nest" to chronicle our journey to adopt our daughter. Since then, I have found myself collecting "nesty"/bird things -- so you can only imagine how I felt upon browsing her things! Awesome! There are so many cute things! I think I actually like the pillow the most! I would love to win it to give to a friend that has a cockatiel. She would love it! I love the vintage bag! I love her "Home Sweet Home" accent pillow! Such talent! the little vintage choker with pink flowers - so cute! oh goodness, such lovely things. I love the chalkboard pizza peel, the vintage inspired gtea towels and I'm also loving the mixed media paintings. They're all wonderful! love her stuff...would be honored to win! I am for some reason enamored of the leather attache case! Love her etsy shop. I love her throw pillows and picture frames. To die for!!! The Zinnia in bloom is quite nice! I like the tea towels and the jewelry-wonderful selection! The pillows are so beautiful!